Courtesy pick-up from hotel accommodation is available. Departing at 9:30 and returning not before 4:00pm each day from late July to the end of October. 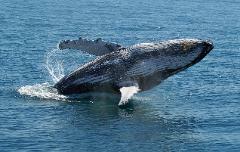 Cruise the sheltered waters of Hervey Bay to the Great Sandy Marine Park which is renowned as the playground for visiting humpback whales as they migrate south to the Antarctic waters. 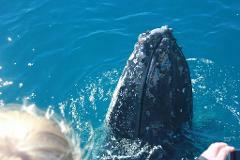 Expert commentary from your skipper and onboard DVD's entertain and educate about the unique aspects of whale watching in Platypus Bay which is formed by Fraser Island and the mainland. 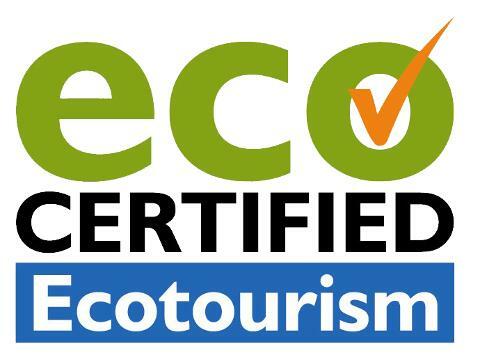 Freedom Whale Watch is now Eco Accredited. 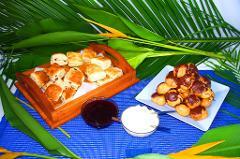 Morning tea is served on the journey out and consists of hot scones jam and cream and profiteroles. Tea, coffee and filtered water is available all day. 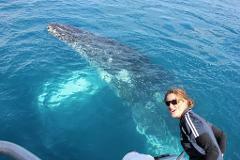 Your tropical buffet lunch is served while watching whales play near the boat. It consists of warm bread rolls, 2 cold meats, hot chicken wings, 3 salads: coleslaw, potato salad & green salad. 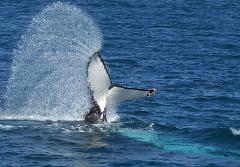 Several pods of whales will often be seen as well dolphins, turtles and sea birds. Fabulous views of Fraser Island's western beaches provide a wonderful background to your tour. Afternoon tea of a fresh fruit platter and a cheese platter is served on the return journey. Early and late season discounts, adults $100. 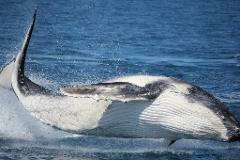 ** Please ring about bookings late in October as the whales may be in short supply! !